Beauty knows no limits, structures, or boundaries, and we love when its diverse hues radiate on a wedding day. Inspired by this concept and to celebrate the upcoming 3rd Annual Love It Up Town Center event coming this August, Tidewater and Tulle and Town Center of Virginia Beach have collaborated with some fabulous Town Center shops to bring some bridal beauty ideas to you through these lovely brides! 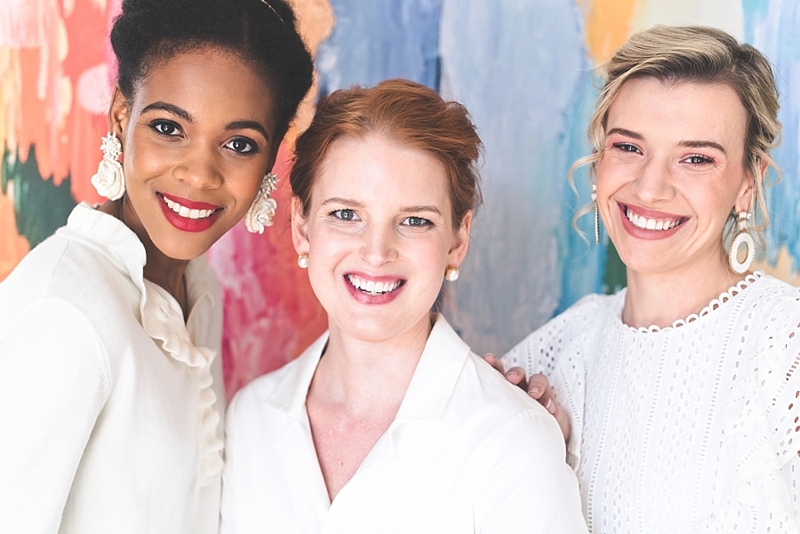 With makeup looks by Bluemercury Virginia Beach, hair by Modern Salon and Spa, and wardrobe prettiness from Monkee's of Virginia Beach, these ladies showcase four unique styles that anyone can steal for their own special days. In a modern floral motif and ruffles, elegance and romance marry in the best way possible with this light smoky eye and bold red lip. Finding the perfect shade of red might be seen as a challenge, but your professional makeup artist can help you with this! A general rule of thumb is to take the cue from your skin's undertones to ensure an effortless sophisticated look. 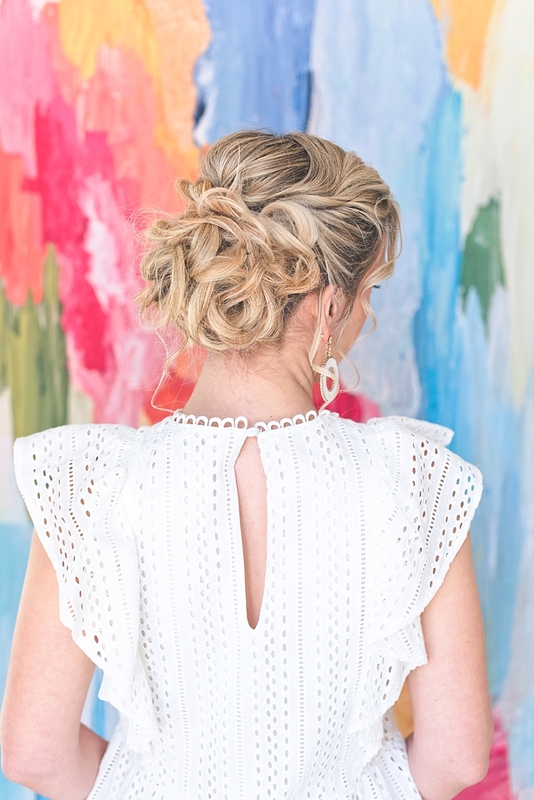 For your hair, nothing says timeless chic like an updo. Brides with shorter hair can wear this look, too, just like our bride Cara did by pinning back sections and giving a sweet touch with a metallic headband. 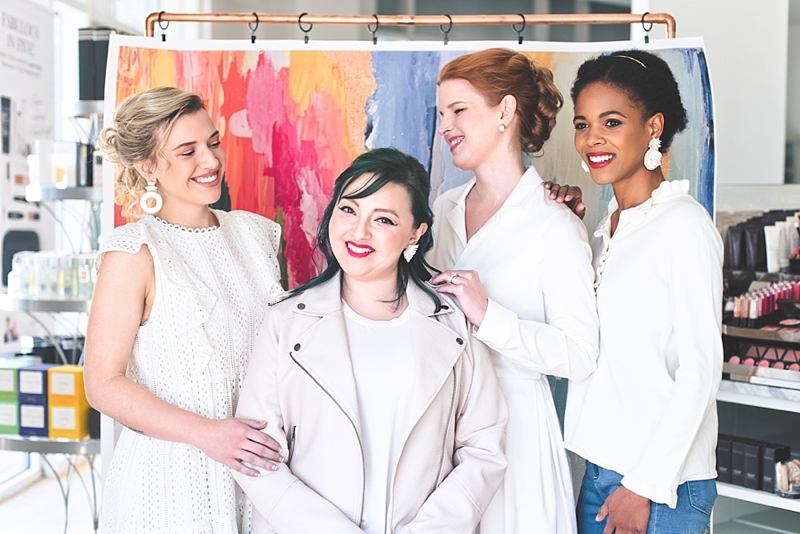 With a playful vibe and boho aesthetic, this feminine chic look is just what the free-spirited bride is all about on her day! 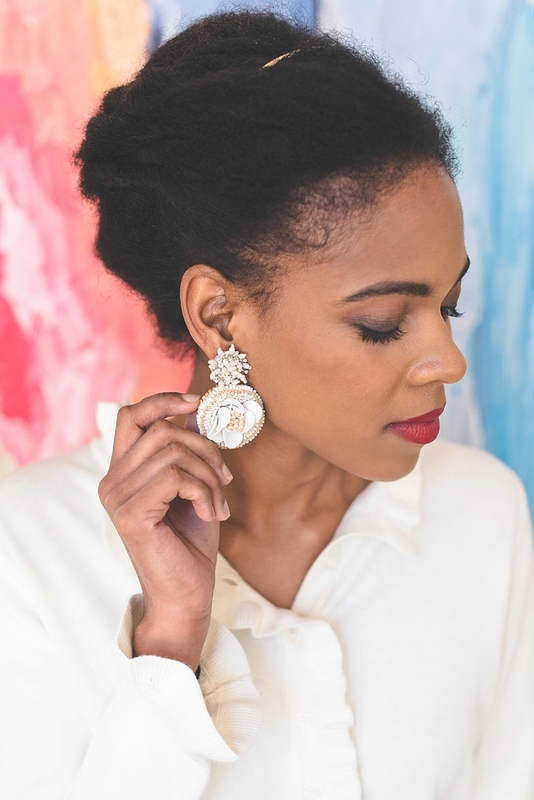 Metallic blush eyeshadow shimmers well with a matte rose lipstick color while tiers of circular bridal statement earrings complement the small eyelet fabric from our bride Katie's outfit. Tousled wavy hair imperfectly pinned is the quintessential style for a bohemian bride dreaming of a relaxed, stylish celebration. We love this texture, texture, texture! 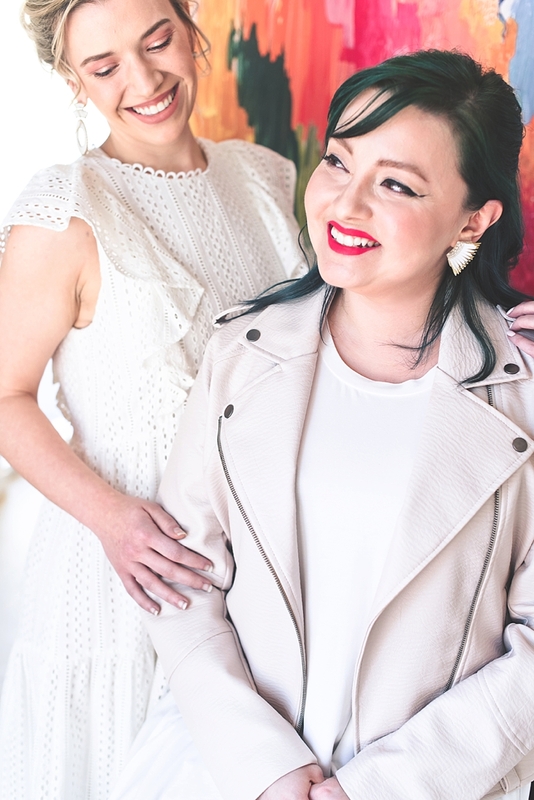 Ladies who rock out the alternative in their everyday individual looks bring bridal beauty to the next level. A bold winged eyeliner creates a striking makeup detail, and the great news is that any eye shape can pull off this look with the right professional guidance! 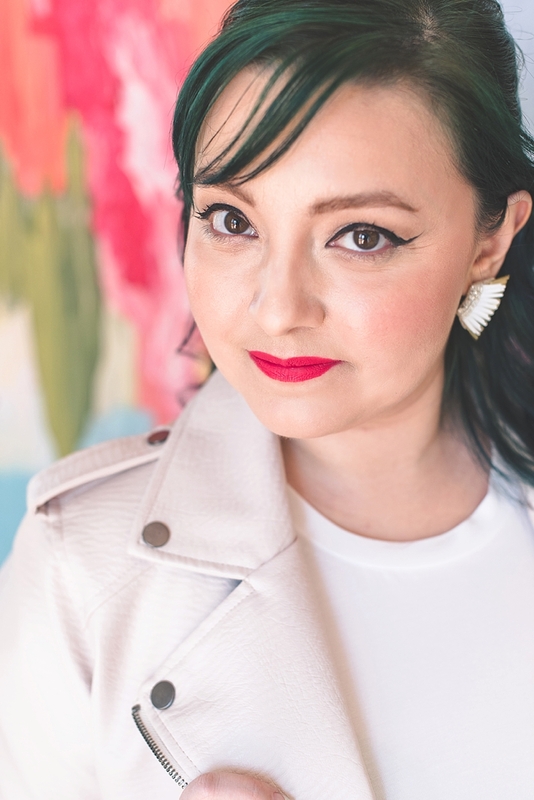 All hair types should be celebrated and uniquely styled, and the alt bride's is no exception! 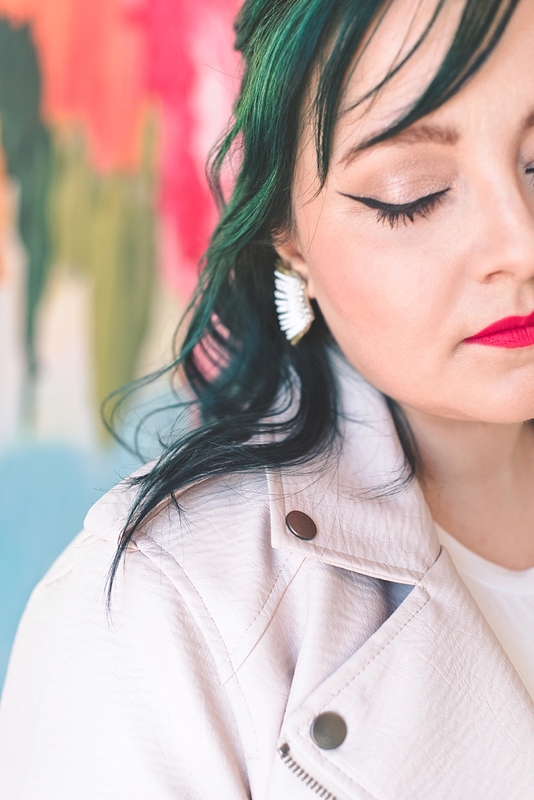 We can't get enough of this blush pink leather jacket and these edgy wing earrings paired with a colorful mane like bride Chiara's deep galactic green hues. Posh luxury and timeless grace come together with this bridal look perfect for any preppy or nautical lover. 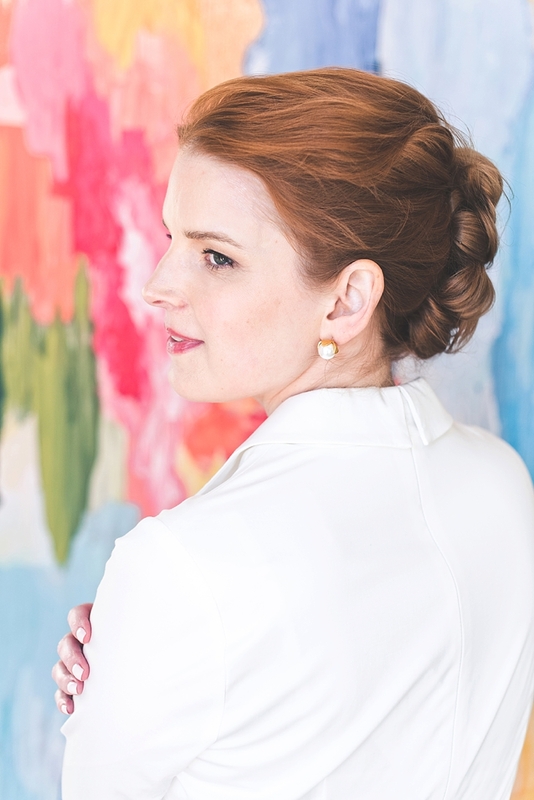 Large gold and pearl earrings spin it modern as soft and natural makeup brings out beauty of this bride Meghan's fair skin tone and red hair. A distinctive collar and neckline gives us all the fashion swoons when it comes anyone envisioning the ultimate in classic style. If Grace Kelly is your style icon, look no further than this. 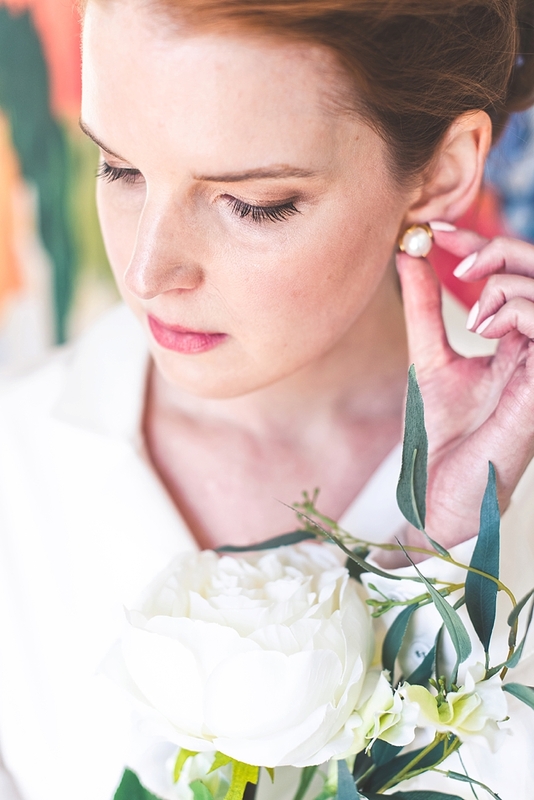 There are so many ideas out there when it comes to wedding day looks, but at the end of the day, we believe in embracing your natural beauty and using that as the ultimate inspiration. 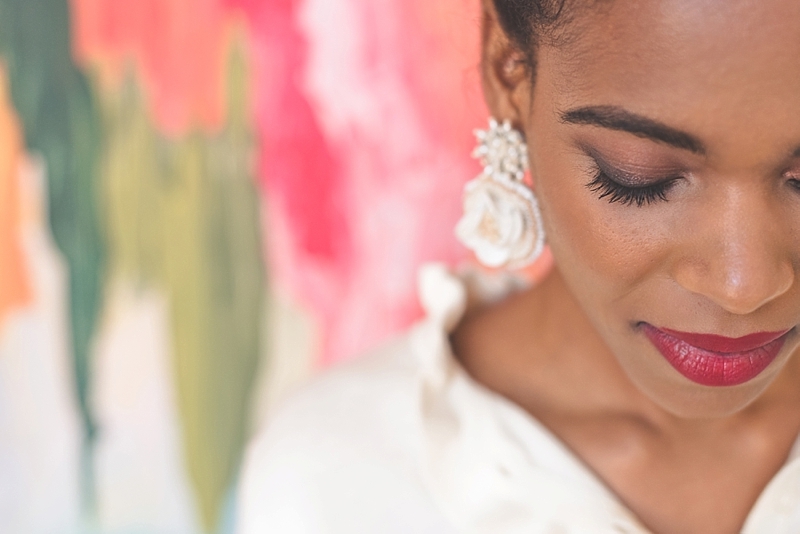 Whether you're a smoky eye queen or pretty in pink goddess, share your ideas with your hair and makeup pros (that you can find at Town Center of Virginia Beach!) so they can weave in your individual style that will be picture perfect on the big day.